Postcards! 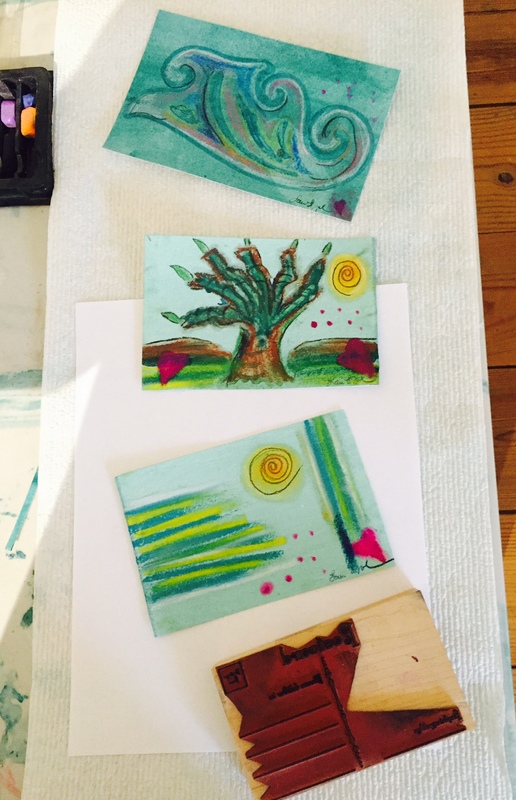 6 Degrees of Creativity does wonderful work around art therapy, creativity and well… fun art exchanges. I signed up for their Hope Filled Art Postcard Exchange in August. I am sending three postcards out and will receive three from others. These three are going to Canada, Ohio and Texas. I am looking forward to what gets mailed to me at the studio. My postcard art has themes of hope for me that include love, the sun, and a tree. I stamped each one on the back with the postcard stamp that belonged to my mother. We lost her way too soon to cancer when she was only 59. She was a force that inspired me, my family and gave me hope. Here is to more creativity and future exchanges.